The Panther Crossing campaign is just one component of Naples Zoo's ​​​portfolio of conservation efforts ranging from efforts for local species to international programs for some of the planet's most iconic species. Naples Zoo has a long history of conservation dating back to gardens founder Dr. Henry Nehrling who wrote in 1904, that "It is high time to protect and preserve what is still left in Florida." In the 1960s, Zoo founders Lawrence and Nancy Jane Tetzlaff taught audiences through a program called "The Vanishing Everglades." For decades, the Zoo has hosted an annual educational event for panthers and currently hosts the Florida Panther Festival on the first Saturday in November. With a growing population of both people and panthers, there are more opportunities for encounters - and not all of them are positive. Naples Zoo has provided a permanent home to a panther shown here that was blinded after being struck by two blasts from a shotgun. ​In addition, Naples Zoo created a behind-the-scenes area to provide temporary care for injured or orphaned panthers. Since opening in mid-2015, this facility has already provided needed care for three additional panthers. 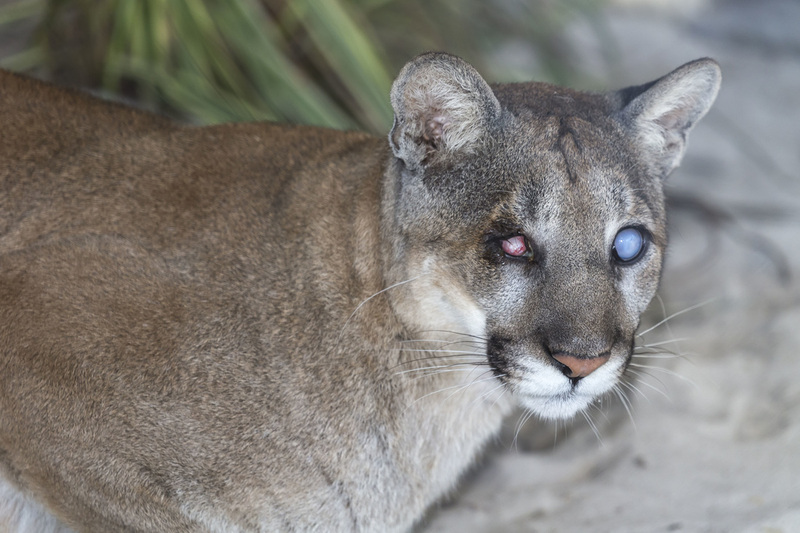 Learning to live with Florida panthers means panthers are able to live at all. Beyond slowing down on the roads, there are a variety of ways we can make commonsense changes to live with panthers and other wildlife. Visit the Florida Fish and Wildlife Conservation Commission's ​panther website explore more of these options and create a better future for panthers and all Floridians. 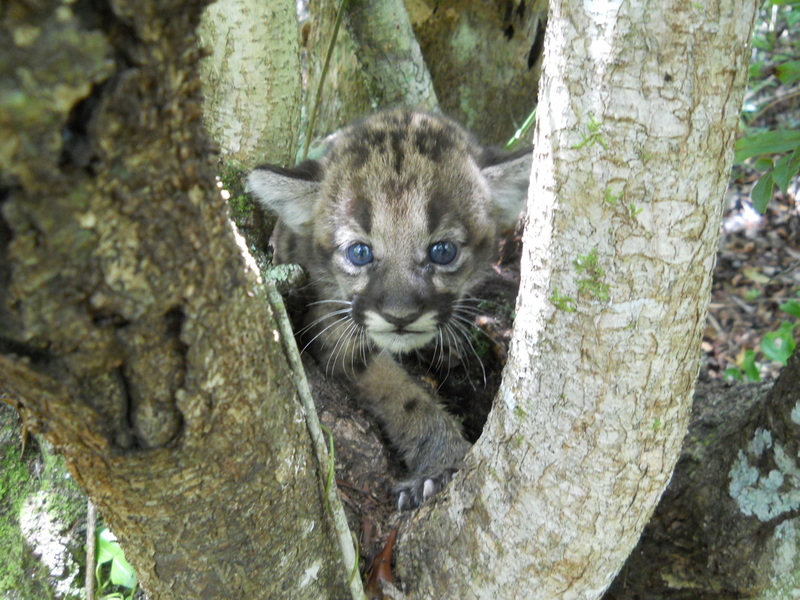 ​PantherCrossing.org is a collaborative effort to reduce Florida panther mortalities on roads and is coordinated and funded by Naples Zoo at Caribbean Gardens as part of their conservation programs. ​Much of this information as well as many of these images are available from the Florida Fish and Wildlife Conservation Commission website and publications.